1. The Total Indulgence Treatment: This exquisite treatment is exclusive to Royal Hotel & Spa, and as the name suggests, it’s all about indulging in complete pampering. 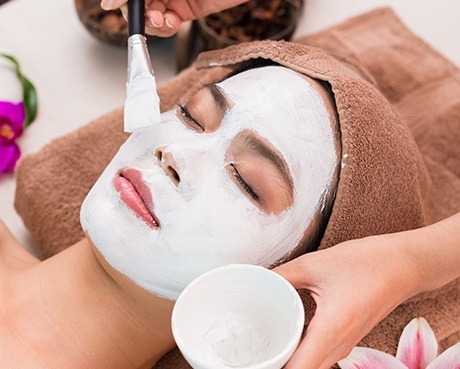 The most relaxing highlights of this treatment include the sea salt scrub to stimulate circulation, the soothing scalp massage to complete the facial, and the full body massage at the end, leaving you 100 per cent rejuvenated. 2. Aromatherapy treatments: Aromatherapy is known for its ability to alleviate tensions, relax muscles, and ease strain in the body and mind. We offer both the ESPA Aromatherapy Massage and the ESPA Aromatherapy Facial, using only the best ESPA pre-blended aromatherapy oils to fully replenish you with a sense of calm. 3. Indian Head Massage: Our Indian Head Massage treatment focuses entirely on releasing all of your body’s tensions. The session begins with a back massage to loosen up the parts of your body where we tend to store most of our stress, and then continues with an intense head and scalp massage to nurture your sense of overall wellbeing, relaxing you from head to toe.